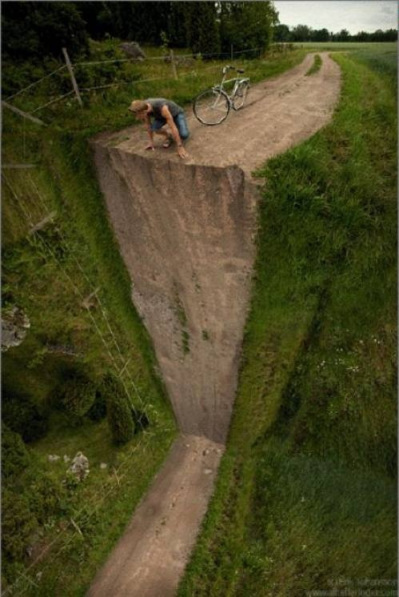 Tom’s thoughts were elsewhere as he rode his bicycle. Rose refused to speak to him. In addition to that, she had taken to ridiculing him. She knew that he was devoted to her. Then, why this attitude, he wondered. As Tom sped, he did not notice his small tennis ball slipping down. Then he saw it sliding down the hill. Tom hurried to locate the ball, but it was lost in the muddy water below. He considered going after the ball, but did not make the effort. He sat on the edge, lost in thought. Was it worth it? Should he reach for a ball lost in dirt? Another thought struck him. Why was he devoted to someone who did not care for him? If Rose could not spot his merits, it was her problem. He would wait for the right girl, but never give up his self-esteem for anything or anyone. Tom got up and confidently walked to his cycle. He whistled now as the world looked new. Good way of looking at things. Nicely done! True, one should hold on to self-esteem, because its more important than we think. That is right. Thank you, Jeyna. Thank you so much. Just thought of this while looking at the picture. This is a photo with a lot of possibilities. Are you going to give it a try as well? Good story. Does give one something to think about. Self revelation is sometimes a harsh realization but in this case it Tom discovered his self worth. Uplifting story.